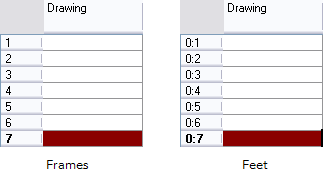 In Toon Boom Animate Pro 3, you can modify the way the column displays drawings, empty cells and the column width. ‣ In the Xsheet View menu, select View > Empty Cells > With an “X” or Blank. ‣ In the Xsheet View menu, select View > Row Units > Frames or Feet. 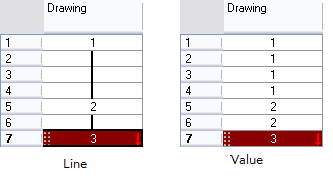 ‣ In the Xsheet View menu, select View > Held Exposures > Line or Value. 1. 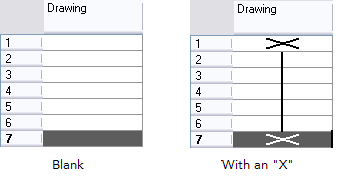 In the Xsheet view, select any column to modify the width. 2. In the Xsheet view menu, select View > Set Columns Width. 3. In the Column Width field, type the desired width in pixel. ‣ Click on the OK button to validate and close the dialog box. ‣ Click on the Apply button to validate the operation and keep the dialog box opened to adjust the next column’s width. ‣ Click on the Set As Default to create all the new columns to this width. ‣ Click on the Close button to cancel the operation. 5. To restore all columns to the default value, in the Xsheet view menu, select All Columns to Default Width.